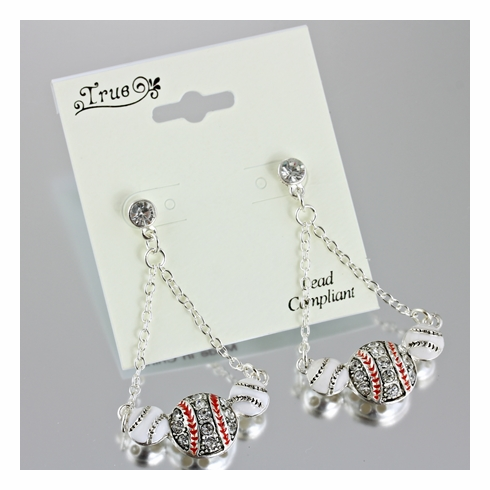 True Crystal Baseball post earrings. White baseballs measure appx. 1/4" in diameter, crystal baseballs measure appx. 1/2" in diameter.